The PS Vita is arguably one of the most feature-rich gaming specific portables ever designed. It packs a ton of interfacing methods, great visuals, 3G network connectivity, a gorgeous screen and a rock solid build. Sure, it delivers a less-than-portably-appealing battery life at roughly 3-5 hours long (a lot like the Nintendo 3DS), but its hardware benefits go a long way to overshadow that statistic. However, as Joystiq is reporting, the PS Vita's inability to provide proper internal storage may be one of the system's biggest downfalls. 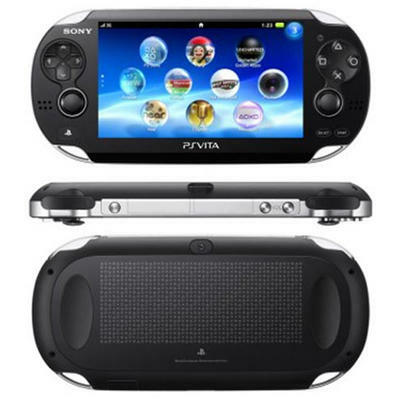 Once the price point was announced at $250 for the base version of the PS Vita, consumers and fans collectively swooned. The handheld was targeted at a fantastic starting price for those that may have otherwise been on the fence for it. With as much promise as the PS Vita provides, the $250 listing was downright affordable. Then, consider the fact that the hardware does not sport any tangible internal memory. Some software does have its own internal storage, while others will require the use of additional memory cards. Guess what, the memory cards for the PS Vita are specific to the device. By forcing consumers to buy their proprietary memory cards, Sony stands to make a pile of cash on those looking for extra storage space. They come in 4, 8, 16 and 32GB sizes and will range in price from roughly $30 to $130. Compare that to other flash memory cards of the same basic build and purpose and you (and your wallet) will be stunned. Building the device without any significant internal storage may have allowed Sony to set its starting price at $250, but it feels almost as if the company is nickel-and-diming consumers right out of the box. This hardware doesn't have a UMD drive, for instance, but some PSP games will be made downloadable from the PlayStation Store on the device. If you want to buy these older games, you'll need a portable with extra storage. If you want to buy a lot of these old games, you'll need a lot of extra storage. In the end, that could wind up costing you literally hundreds of dollars.